STRESS FRACTURE is a small crack in a bone, or severe bruising within a bone. Most are caused by over-use and repetitive activity, such as repeatedly jumping up and down or running long distances. They occur over time when repetitive forces result in microscopic damage to the bone, but is not great enough to cause an acute fracture. Bone is in a constant state of turnover – a process called remodelling. New bone develops and replaces older bone. During remodelling, bone tissue is destroyed (resorption), then rebuilt. Bones subjected to unaccustomed force without enough time for recovery resorb cells faster than the body can replace them, which makes the bone weaken and become vulnerable to stress fractures. The most common cause of stress fractures is a sudden increase in physical activity either in duration or intensity, such as trying a new exercise, suddenly increasing the intensity of workouts, or changing the workout surface – jogging on a treadmill as opposed to jogging outdoors, for example. Conditions that decrease bone strength and density, such as osteoporosis and certain long-term medications, can make it more likely to experience a stress fracture – even when performing normal everyday activities. Poor conditioning, meaning doing too much too soon, is also a common cause of stress fracture. The most common locations of stress fractures are the second and third metatarsals of the foot. Stress fractures are also common in the long bones of the lower leg. The most common symptom of a stress fracture is pain. The pain usually develops gradually and worsens during activity and diminishes during rest. There may be a swelling and usually tenderness on applying gentle pressure directly to the site of the fracture. On x-rays, the fracture may not be visible until several weeks later. Magnetic resonance imaging (MRI) usually can visualise stress fractures within the first week of injury, and can visualise lower-grade stress injuries (stress reactions) before x-ray shows changes. An MRI is preferred in many cases because there is no radiation exposure and it is better at diagnosing different types of bone and/or soft tissue abnormalities. If a stress fracture is not properly treated, the fracture can get worse and eventually it can become a complete break. When stress fracture is suspected a RICE protocol is advised. RICE stands for ‘rest, ice, compression and elevation’. In addition, anti-inflammatory tablets such as ibuprofen can help relieve pain and reduce swelling. The goal of treatment is to relieve pain and allow the fracture to heal. 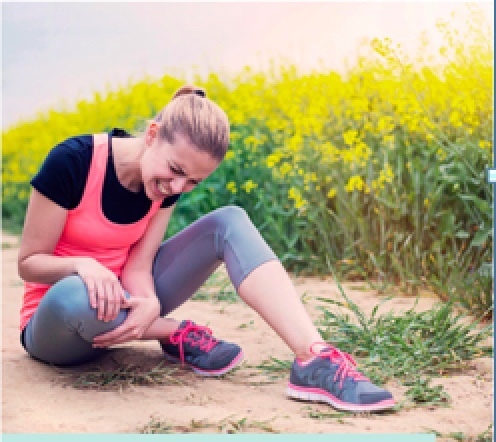 Treatment will vary depending on the location of the stress fracture and its severity, and the majority of stress fractures are treated non-surgically. It typically takes from six to eight weeks for a stress fracture to heal. During that time, switching to activities that place less stress on the bones is advised, with swimming and cycling good alternative activities. Some fractures, such those of the fifth metatarsal bone (on the outer side of the foot), take longer to heal and a cast to keep the bones in a fixed position and to remove the stress on the involved leg may be needed. Use of crutches to keep weight off foot or leg until the bone heals may also be used. Some stress fractures require surgery to heal properly, especially those that occur in areas with a poor blood supply. Surgery might also be an option to facilitate healing for elite athletes who desire a more rapid return to sport, or workers whose job involves the stress fracture site. The surgery is called internal fixation, where pins, screws and/or plates can be inserted to hold the bones together during the healing process.